As the European Space Agency’s first British Astronaut prepares to blast off to spend six months living and working aboard the International Space Station, a massive science adventure will touch down in Dundee this weekend. Angus Woods Transformed as DragonQuest Begins! 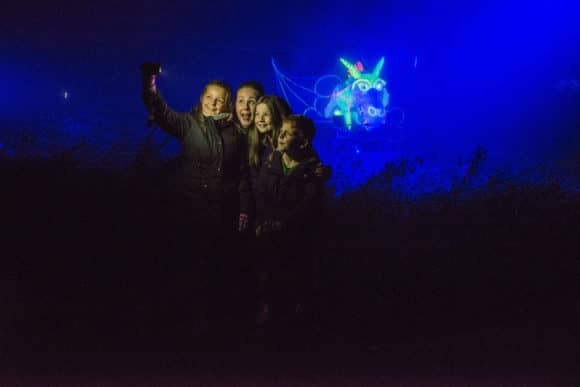 A theatrical, mystery spectacular within the woods of Monikie Country Park opens to the public tonight (Wednesday 7 October 2015). 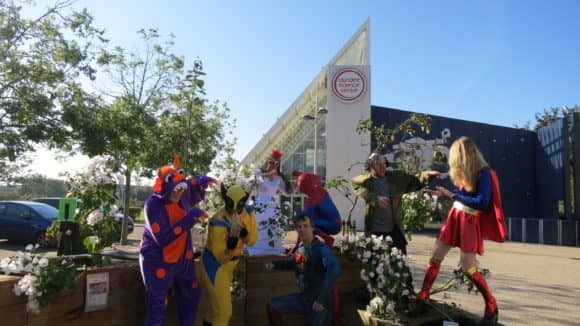 Superheroes and monsters unveiled the sheer strength of science power today (Friday 2 October 2015) while launching the programme for this year’s Dundee Science Festival. A cosmos-themed prog rock band will provide a fitting launchpad for Dundee’s celebration of International Space Week this weekend (Saturday 3 October 2015).